We will be changing our website to reflect our new Partnership with Alpinestars. The Lucas Oil Pro Motocross Championship, sanctioned by AMA Pro Racing, has once again teamed up with the sport’s manufacturers (OEM’s) in support of the Asterisk Mobile Medical Center (AMCC). 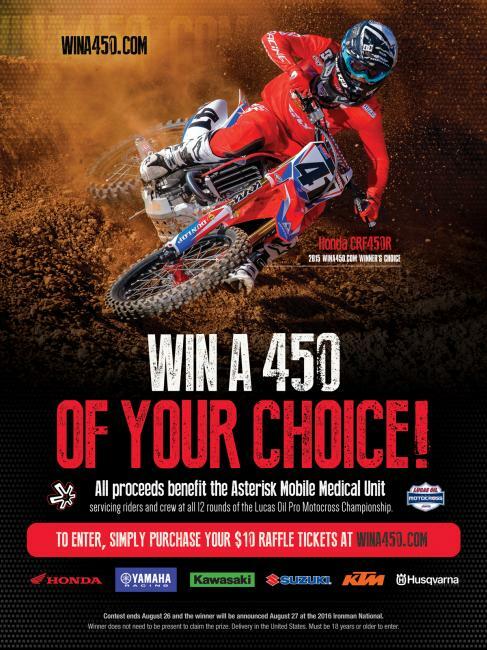 The Win a 450 raffle initiative returns with proceeds benefiting the AMCC. The grand-prize winner will have the choice of any 450cc model from one of the six competing manufacturers of the Nationals – Honda, Husqvarna, Kawasaki, KTM, Suzuki and Yamaha. Entering the raffle is as simple as logging onto WinA450.com and purchasing a $10 raffle ticket. The winner will be announced August 27 at the Ironman National, the 12th and final round of the 2016 Lucas Oil Pro Motocross Championship. The winner does not need to be present to win. Tickets are now available at wina450.com. 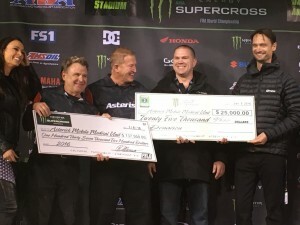 Last year, the 450 giveaway raised nearly $30,000 for the AMMC, a mobile emergency care facility made available to event staff, participants, and crew members at every round of the Lucas Oil Pro Motocross Championship at no cost. The full 53-foot hospital trailer is not only equipped with top-notch specialized equipment for the sport’s unique injuries, but is also staffed with qualified and experienced medical personnel. 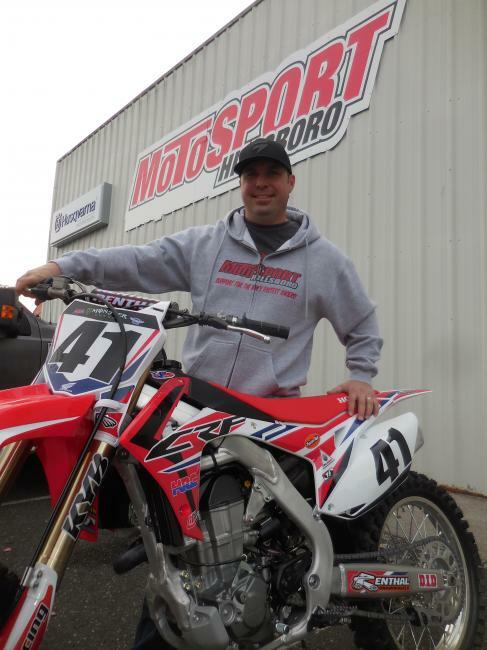 Darren Delozier, lucky winner of the 2015 Win a 450 raffle with his CRF450R. The AMMC is provided to the racing community by Asterisk, a developer of state-of-the-art knee braces. Operational budget for the AMMC to provide its service at the races comes from members of the racing community, including MX Sports Pro Racing, organizers of the Lucas Oil Pro Motocross Championship. The 2016 Lucas Oil Pro Motocross Championship gets back into action Saturday, May 21, for the Hangtown Motocross Classic in Rancho Cordova, California. Tickets to the event are available for purchase HERE. For additional information, please visit ProMotocross.com or call (304) 284-0101. Make sure to follow the official Facebook, Twitter and Instagram accounts for exclusive content on the Lucas Oil Pro Motocross Championship and the Win a 450 Contest. The Asterisk Mobile Medical Center and Medic Rig crew will be supporting the 2016 Monster Energy Supercross series with top of the line medical professionals and state of the art equipment. Dr. John Bodnar, Tom Carson and Road 2 Recovery’s Chuck Baldwin and Jimmy Button. Feld Motor Sport’s contribution to the Monster Energy Supercross program is essential and they never fail to step up. Road 2 Recovery shared donations from Kevin Windham’s Party in the Pasture event this past fall. We thank both of these organizations for their continued support and focus on riders and their safety.